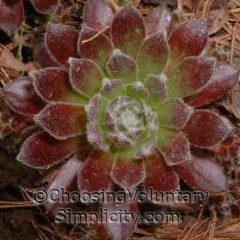 I have had sempervivum growing in my gardens for many years, and they are one of my very favorite plants. 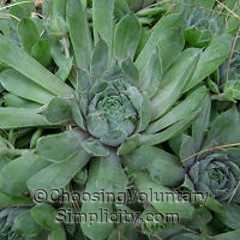 Often called houseleeks or by the more common name of hens and chickens, these hardy perennials have thick, fleshy leaves and grow in rosettes. 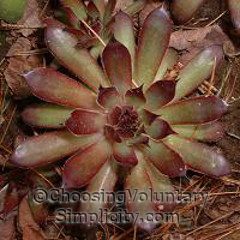 Many people grow sempervivum in dry, sunny locations because they require so little moisture, but I have also had great success and much larger plants when I grow them in regular fertile garden soil. 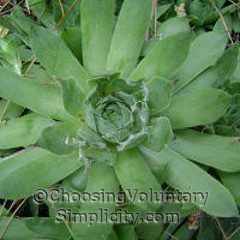 The name sempervivum comes from the Latin words semper, meaning “always,” and vivus, meaning “living.” Each plant usually grows for several years before flowering, but once it does flower, the plant dies. 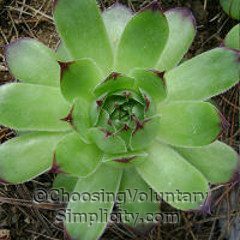 Sempervivum can be propagated by division, by seed, or by planting the little offsets that each plant produces. Flowers are shades of pink and red and sometimes yellow. 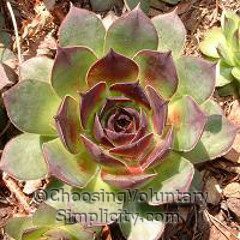 There are many different types of hens and chickens (Sempervivum tectorum)… here are a few of mine, including some descendants of hens and chickens that grew in my mother’s garden and also before that in my grandmother’s garden. Can You Trust Allergen Labeling? My boys love hen and chicks. You have a nice collection of them. I amazes me how hardy they are- We keep a strawberrry pot full of hen and chicks that over winters well without protection. I just have a few of these, not nearly as nice or as many as yours, but I really enjoy them. 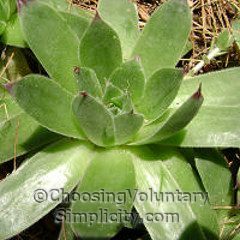 They are so easy to grow. Nice pictures btw. I never knew these grew in such a variety of colors shapes and sizes. 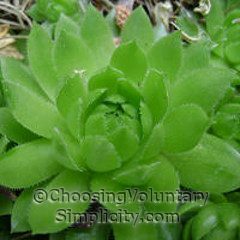 I’ve seen hens and chicks but I guess I was always picturing the plain green variety that my mom always had in her garden by the back porch. 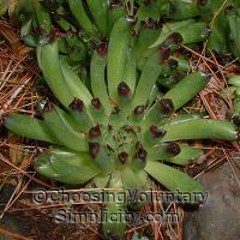 I have to say you’ve peeked my interest and I might just pick up some of these at the local garden store this spring. Does the hens and chick in photograph number 5 have a name? That is a very unusual looking one and I would like to see if I could find one to buy. Geoff, that one is called Oddity. 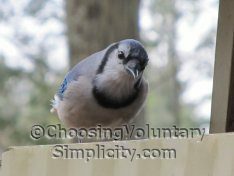 I have some other pictures here, and more information if you’re interested. I’ve enjoyed reading about your beautiful chicks and hens! I’ve recently fallen in love with these little plants- but by the time I got around to looking for one to buy at our local nurserys, they were mostly home for the summer. 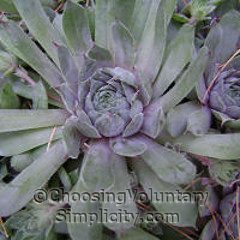 I did find a single sempervicum tectorum plant, (a hen if you will,) and I’ve got it planted in a container. Will this small, single bloom multiply into chicks? and how long does that typically take? 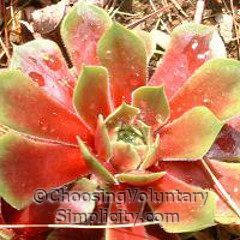 Sara, it really depends on the individual plant. Some will produce babies when they are still tiny themselves, and others will go years without producing any babies at all. 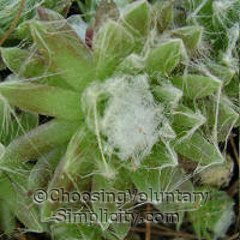 I have never been able to fit sempervivums into any kind of a schedule… even the ones that bloom and then die don’t seem to do it all at the same age.